Develop plans in 10 minutes or less for retirement, survivor needs, risk tolerance, portfolio modelling, LTC, estate planning business continuation and more. Over 600 educational pieces covering the topics and concepts your clients and prospects value most when they are making important financial decisions. 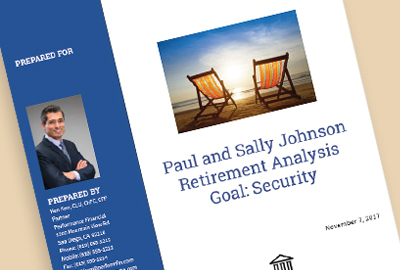 Over 70 calculators to illustrate vital concepts or move clients to action, such as “When Will Your Nest Egg Run Out?”, “How Much Life Insurance?” and more. 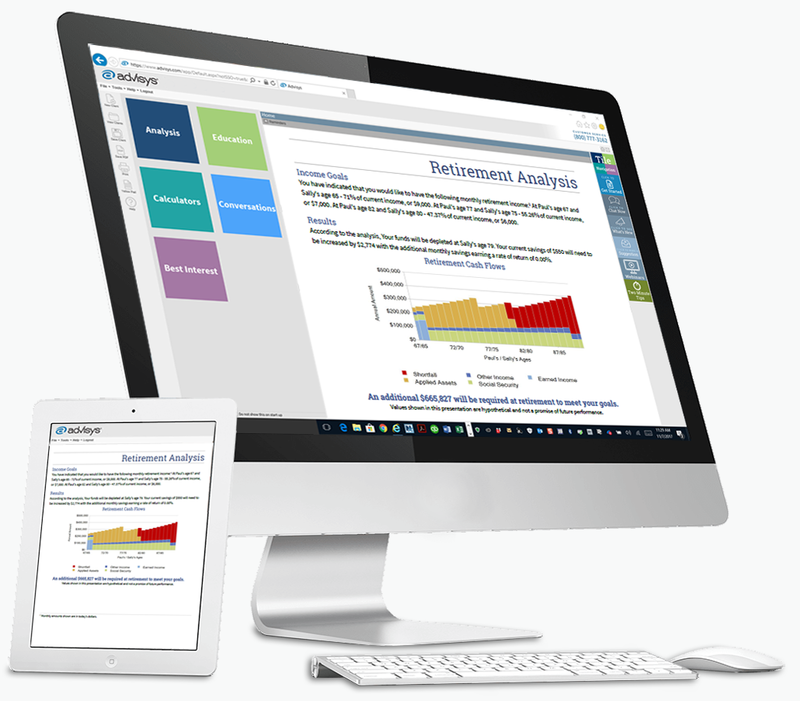 The newest Advisys module helps clients make their money last by identifying their retirement wants from their retirement needs. Powerful client conversations start with Advisys Mobile for your iPad. Make an amazing impression wherever you go. Free updates and unlimited expert advice and user support by email, chat or phone at no additional charge to you. Advisys creates smarter, simpler, faster financial planning and insurance sales solutions for professionals. 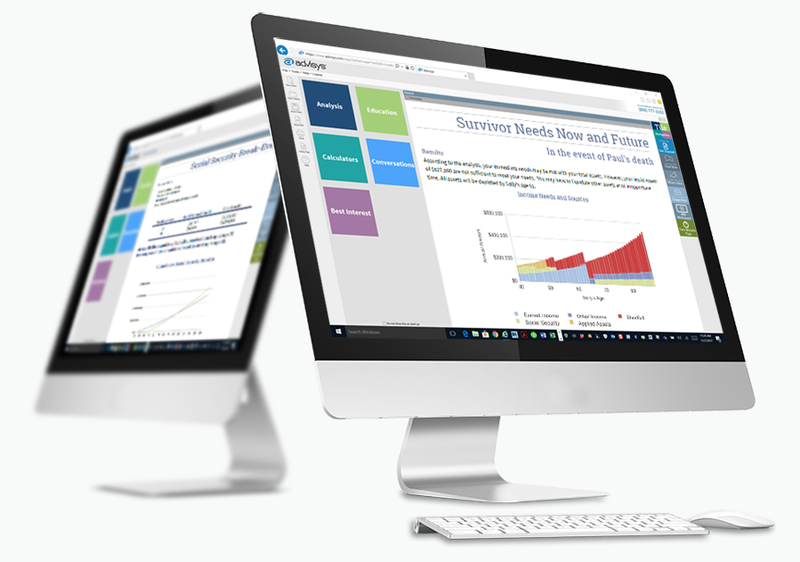 Reports summarize on a single page the client’s need and a solution. Educational materials simplify complex topics and are easy for clients to understand. 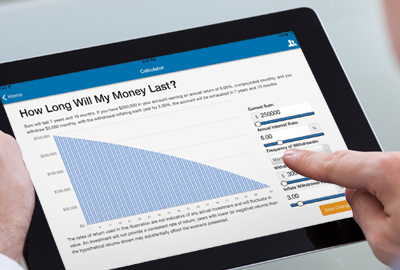 Calculators answer a client’s questions or overcome objections with just a handful of inputs. It’s why many consider Advisys the most frequently used financial planning and insurance sales solution for professionals. Every lasting client relationship starts with a simple conversation. Advisys helps you get the conversation going. You pick the tables, charts and educational pieces you want and assemble them in any order to quickly create client presentations, approach pieces and leave behinds. It looks like it took you hours to prepare when it only takes minutes. Nothing inspires trust and encourages referrals more than good service and a professional image. Advisys gives you both. Every plan and presentation you create is an opportunity to promote your personal brand with a title page including your photo and logo, and a profile page describing your professional experience and your customer service philosophy. Presentations are saved as high-quality PDFs you can share with clients by email or present on your tablet device. Or, use Advisys Mobile for iPad for an interactive client experience: use financial calculators, share concept pieces and collect and upload fact finder data. Advisys Mobile for iPad works with or without an Internet connection. Since our inception as Kettley Publishing and Back Room Technician®, Advisys solutions have stood the test of time. Our 40,000 licensed users cover a cross-section of the industry, demonstrating that Advisys’ approach can improve results, referrals, cross sales and customer loyalty no matter in which field or profession you work. Like many of our customers, you'll quickly find Advisys stands apart in delivering a uniquely satisfying user experience.